Fingers play an important role in the daily life because they help to hold and keep everything. However, only when fingers are damaged, we realize how crucial they are. Trigger finger can be considered one of the common problems that occur in the small body part. In fact, trigger finger, medically called stenosing tenosynovitis, is a problem in which a finger is stuck in a sharply curved position . It can straighten on its own with a sudden snap, or you may have to force it. If you are experiencing the common symptoms such as stiffness in fingers, tenderness, pain, popping or clicking sensation along with the sudden movement of fingers, and lack of ability to straighten the finger, you may suffer from trigger fingers. Apart from the medical treatments, you can reduce discomforts and get rid of the problem with natural methods. 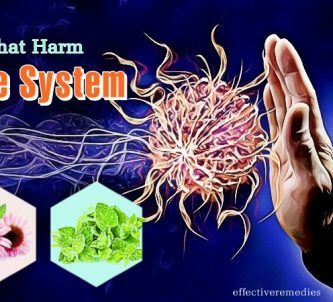 In this writing, Effective Remedies will help you to discover a list of 20 common home remedies for trigger finger. Resting the affected finger for 3 to 4 weeks is one of the best home remedies for trigger finger. Proper rest is considered a key factor for treating the tendon. It also reduces soreness and inflammation as well as while speeding up the healing process. In a point of fact, if you put further pressure on your affected finger, you may worsen the inflammation & pain. Rest your affected finger as much as you can and avoid activities, which require repeated grasping, repetitive gripping, or using vibrating hand-held machinery for a prolonged time. You should secure the affected finger with a splint as much as you can until the inflammation & pain subsides. A splint helps to keep the affected area in an extended place and prevent movement when it heals. In addition, it helps to rest the tendon and protects you from curling your affected finger into a clenched fist when sleeping. According to a study published in the Current Reviews in Musculoskeletal Medicine in 2008, splinting is beneficial in reducing the severity and symptoms of trigger finger. Wear a splint for 6 to 7 weeks. However, remember that the splint isn't too tight because this can inhibit the blood circulation and result in tingling sensations or numbness. Pineapple can be present in the list of effective home remedies for trigger finger pain because this fruit is loaded with bromelain that is claimed to relieve the pain associated with trigger finger very effectively . Moreover, pineapple gives a lot of nutrients and vitamins that are active to remove the dead tissues from your body. When the dead tissues are removed, the swelling is gone away. It also offers anti-inflammatory properties that help to reduce pain & inflammation. Consume more pineapples and take bromelain in a supplement form to aid in relieving the pain & inflammation. You may also take 500 mg bromelain tablets 1 or 2 times daily for several weeks. Turmeric contains curcumin that makes it one of the best home remedies for trigger fingers pain. This substance is active in healing inflammation and limiting the production of a substance in the body that is believed to make the pain worse . Firstly, prepare a thick paste by mixing turmeric powder and warm water. Then, apply the paste to the trigger fingers. Repeat this method several times a day. Mix 1 tsp. of turmeric powder with 1½ cup of milk. Then, boil it and let it simmer for about 5 minutes. Now, add a little honey to it and drink this solution twice daily. You can also take curcumin supplements after consulting a doctor. In fact, using essential oils for treating trigger finger is popular. There are a lot of essential oils for you to choose. However, if you like a simple treatment for trigger finger at home, coconut oil is an ideal option. With many anti-inflammatory effects and antioxidants, coconut oil helps to reduce the risk of infection and swelling, which is dangerous for your condition. Firstly, take a little coconut oil. Follow this remedy for a few times on daily. Among natural home remedies for trigger finger pain, it definitely includes ginger. This ingredient contains antioxidant and anti-inflammatory effects that are very effective in easing the pain caused due to trigger finger . Ginger may be used in many ways to improve the trigger finger condition at home. First of all, include it in daily cooking. Or, rub raw ginger slices over the trigger finger so that its nutrients go directly into your skin. Another option, consume ginger tea daily to deal with the inflamed finger. Cherries help to treat trigger finger because it has a lot of anti-inflammatory properties. For example, anthocyanin in cherries helps to reduce pain naturally and effectively. In addition, the presence of quercetin in cherries is proven to give amazing effects on preventing cancer. Therefore, you can try to eat more cherries or drink its juice to benefit from this delicious fruit after noticing trigger finger. It is said that apple cider vinegar is one of the common home remedies for trigger finger thanks to its inflammatory properties . It is very useful to cope with a painful or swollen finger. However, you should avoid consuming raw apple cider vinegar because of its strong acidity that may damage your digestion. For better results, mix a few tsp. of this vinegar with water to reduce the acidity. Next, try to drink this mixture daily until your finger condition is improved. Providing omega-3 fatty acids for your body is beneficial in the treatment of trigger finger. Therefore, fish oil may be considered as another of the natural home remedies for trigger finger pain. These fatty acids, when entering your body, may help to cope with the tissues damaged due to trigger finger. In addition, the joints are lubricated by the omega-3 fatty acids. Make sure that you use fish oil daily to prevent trigger finger. For the best results, you should include more fish, a rich source of the omega-3 fatty acids, in your daily diet. Another option, you may use fish oil as a great replacement. Almonds contain vitamin E and unsaturated fats, all of which are completely valuable for being natural home remedies for trigger finger pain. Not only do they aid in treating inflammation, but they also help to lubricate the damaged joints. Besides, the presence of omega-3 fatty acids are in the almonds makes these nuts equal to fish oil. Firstly, put a few almonds into water. Now, chew them for a few times a day to get the better results. It can be said that using aloe vera gel is one of other effective home remedies for trigger finger pain. Aloe vera is loaded with anti-inflammatory properties that aid in relieving inflammation, stiffness, and soreness caused due to trigger finger and preventing an inflamed skin . In addition, the amino acids and vitamins in it help to repair damaged tendons. Besides, other nutrients of aloe vera gel may ease the pain fast and make the movement of your finger become easier. Firstly, take the gel from an aloe vera leaf. Then, rub it on the painful fingers. You should repeat this method 2 to 3 times daily. If you don’t have natural aloe vera gel in your place, you may buy supplements as another alternative way. If the pain related to trigger finger gets unbearable, you may resort to a hot compress as an instant remedy for trigger finger. All you need to do is to prepare a clean cloth and boiling water. At first, dip the cloth in hot water. Then, squeeze the cloth to remove the excess water. Now, place the cloth on the trigger finger for some minutes. Repeat this method when this cloth gets warm and continue doing this way until you see improvements. The next method among the effective home remedies for trigger finger pain is very simple is warm water. As you may know, the warm temperature helps to ease the pain instantly and have a wonderful effect on relieving stiffness or numbness. In addition, a warm water soak increases the blood flow and helps you to move your finger more easily and reduce pain. At first, take a bowl and fill it with warm water. Optionally, you can add 1 tbsp. of Epsom salt to this bowl. Now, soak your affected finger in the water for 5 minutes. Repeat it about 4 or 5 times during the day. Note: Remember to check the temperature of water to avoid burning the skin. Apart from warm water, cold ice may be one of the most effective and simplest home remedies for trigger finger pain. This way has been extensively used to prevent or deal with inflammation in the body parts. Therefore, you may use it in removing trigger fingers pain as well. However, you should avoid putting ice directly on the fingers or any body part because it leads to a damaged skin. Using a cold compress provides numbing effects on the nerve endings and then aiding in reducing swelling and pain. Firstly, put some ice cubes in a clean towel and then tie it well. Then, apply the ice pack to your affected finger for about 10 minutes. You have a break of 5 min and then repeat 2 to 3 more times. Repeat this simple remedy for a few times each day, if needed. Note: If you don’t have ice cubes, you may use a cold spoon or a bag of chilled vegetables. Another great treatment that you should also consider is acupuncture. 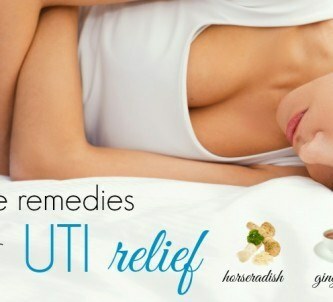 It aids in increasing the blood flow to your affected area, which will reduce pain & swelling. In acupuncture, needles are inserted in & around your affected area to deal with the causes of the pain and inflammation. According to a study published in the Acupuncture in Medicine in 2016, “acupuncture at the impaired A1 pulley site may be an effective treatment for trigger finger.”  However, more studies are required to confirm its effectiveness and mechanisms of the action. In addition, it is better to have acupuncture practiced by an expert. It can take several sessions to relieve the pain and improve the mobility of your affected finger. Massaging your affected finger regularly is also one of the great home remedies for trigger finger pain. A gentle massage aids in increasing the blood circulation, relax your muscles and ease the swelling and stiffness. At first, warm a little olive, coconut, or sesame oil in a microwave. Then, apply the warm oil to the affected finger. Now, use your fingers to massage it gently for 5 minutes. Follow this method 2 or 3 times a day. Always massage your affected finger gently because added stress might worsen the condition. Also, you can be done this by a professional massage therapist, as needed. Doing gentle exercises help to maintain mobility in the finger and aid the healing process. Therefore, the affected finger can get back to normal functioning as fast as possible. Spread the fingers wide apart and then draw them together into a fist. Do this 10 to 15 times. Perform this simple exercise many times throughout the day. Wrap one rubber band around the fingers and thumb and try to open & close the hand to fight this resistance for 5-10 minutes. Repeat it several times daily. Squeeze a ball or hold a tennis ball in the palm of the hand. Then, squeeze it for about 10 seconds and release. Perform this exercise for about 10 minutes. Repeat 5-10 times per day. Using essential oils often accounts for a high percentage of herbal home remedies for trigger finger pain. Oregano oil is another wonderful remedy for this issue that you can use on a daily basis. This oil helps you to escape from inflammation and pain quickly. When talking about essential oils, you may apply them immediately to the skin without worrying about adverse effects. Take a little oregano oil. Then, apply it on your affected fingers. Repeat this method for 2 to 3 times a day to get the maximum benefits. Eating apples has a lot of health benefits, so many experts recommend eating at least 2 apples per day. In addition, eating this fruit helps to reduce the risk of all diseases. Apple is obviously a wonderful home remedy for trigger finger pain although the results may not come as fast as you expect. Packed with polyphenols, apples work well to treat damaged muscles. Moreover, its huge amounts of antioxidants, including quercetin, offer a positive effect on the recovery. Consuming apples every day even helps to strengthen your body and increase your energy quickly. Also being a rich content of fiber, apples can reduce the development of cancer cells in your body. If you do not want to eat fish and take fish oil, you may switch to other options. A perfect alternative ingredient containing a great source of omega-3 fatty acids may be walnut. Walnut is beneficial in easing the pain and relieving inflammation while helping to prevent cancer effectively. Therefore, it is considered as one of other natural home remedies for trigger finger pain. Simply, consume walnuts daily to get rid of your trigger fingers condition soon. Drink 2-3 cups of warm ginger tea daily to combat the inflammation. Consume foods high in vitamin B6, including liver, fish, sunflower seeds, raw garlic, and hazelnuts. Take non-prescription nonsteroidal anti-inflammatory drugs, including ibuprofen, to ease the pain. Use non-prescription arnica or capsaicin creams when needed to reduce pain and swelling. 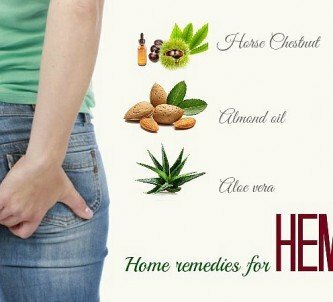 Above are top 20 natural home remedies for trigger finger pain that you should try. If you want to learn more the natural treatments for other health condition, please visit our Home Remedies page. Do not forget to leave your comments in the form below to show us your thoughts.